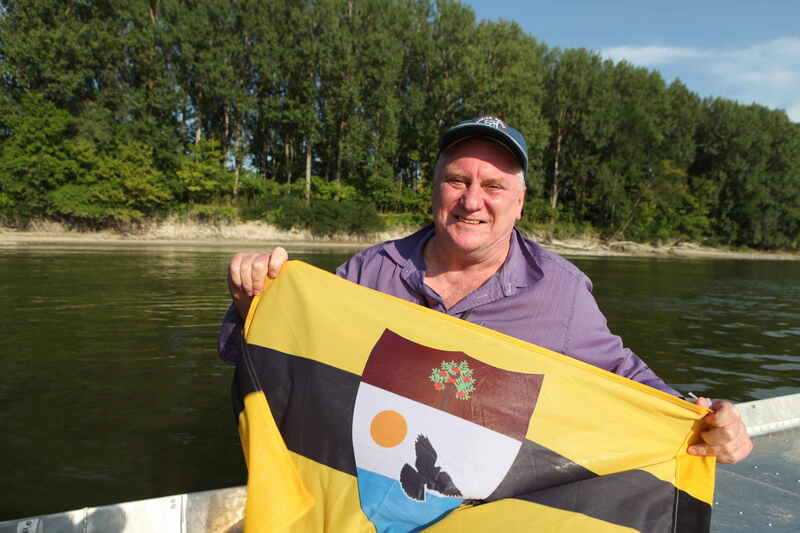 Yes I went back to find out more about Liberland and last Sunday I almost reached the new nation founded by Czech politician Vit Jedlcka on a “terra nullius” along the Danube at the border of Serbia and Croatia. More by chance than by accident I was on a tiny boat photographing and filming a landing operation. With me, Alex, a 20 years old Brit who after travelling by himself on his bike from Slovenia, decided to set foot on Liberland. Two days after he arrived at the LSA’s HQ (Liberland Settlement Association – the guys in charge of settling on Liberland) based in Bezdan, Serbia, young Alex was about to jump in the water and run to the new promised land. OB, a 60 something years old American citizen, with a strong aspiration for freedom and an admiration for the basic laws of the constitution of Liberland was part of the game too. Why create a diversion? Well… Anyone who doesn’t hold a Croatian passport and attemps to set foot on Liberland is systematically arrested by the Croatian police. The reason they use is illegal crossing of the border. This is absurd as the territory of Liberland doesn’t belong to any of its two neighbours. It’s a no man’s land since the end of the war between Serbia and Croatia. 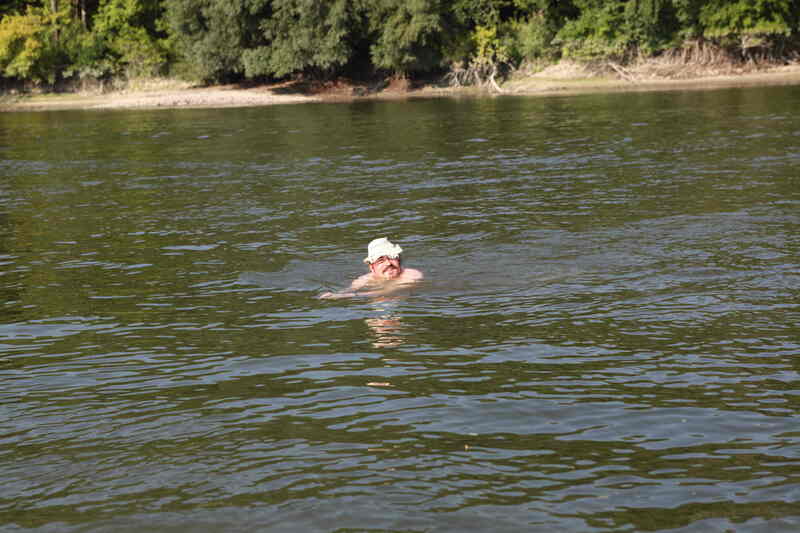 But back to action… Niklas is bravely swimming against the dangerous and impredictable streams of the Danube, recognizable with his iconic hat on his head. For a while the diversion is a success, he manages to get all the Policija’s attention till they realise the “supercherie” ! And here they come, full speed, after us. Our ninja pilot manages to get the boat as close as possible to Liberty Island’s shore, Alex jumps out of the boat screaming like a Mohican, runs and quicly reaches the beautiful fine sands of Liberty Island. 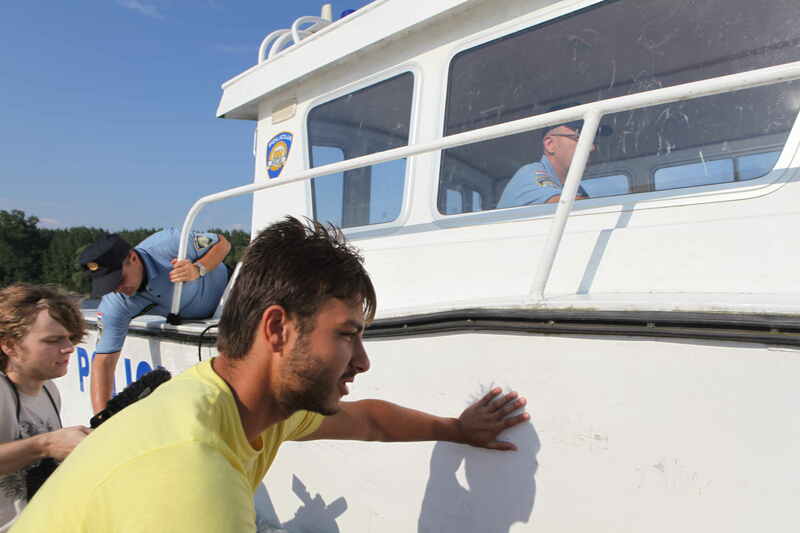 OB is less luck and falls from the boat after a “fausse manoeuvre”, slowing down the operation and reducing the precious time the two guys wanted to spend on Liberland. The Policjia boat is fast and furiously approaching. Alex and OB are running back from their temerous endeavour. They jump back in the boat but we are too close to the shore, the engine propeller is stuck in a sand bank. The Policija boat is getting closer and closer. 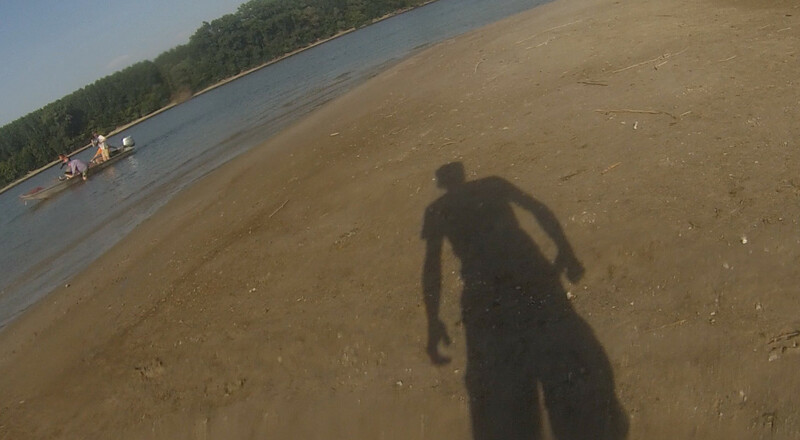 Alex jumps out of the boat again to get us out of the sands of Liberland, the propeller is free. Success! We are off thanks to the “sang froid” of both Alex and Ninja pilot. But we are still in sailing in Croatia’s waters. This is the beginning of an unforgettable, rocambolesque and James Bondesque chase. The Croatian boat (a few times bigger than ours) draws circles around us, creating huge waves and trying to deter us from sailing back to Serbia’s waters (the border is a very flexible line on the Danube). 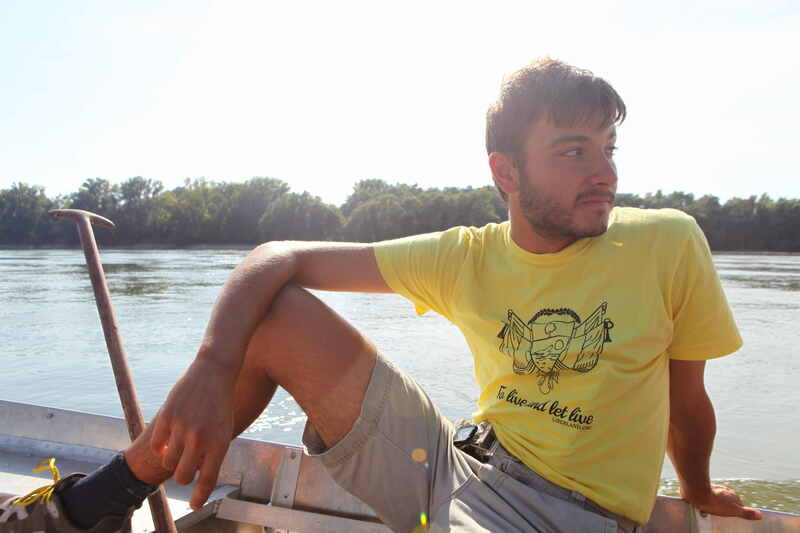 After three attempts, a collision and a turn over avoided at the last minute by Alex, super Ninja managed to bring us back safe and sound to Serbia’s waters. With our team of super heroes on board, the two Croatian policemen didn’t stand a chance, despite their determination and the nasty look and manoeuvres of the pilot. 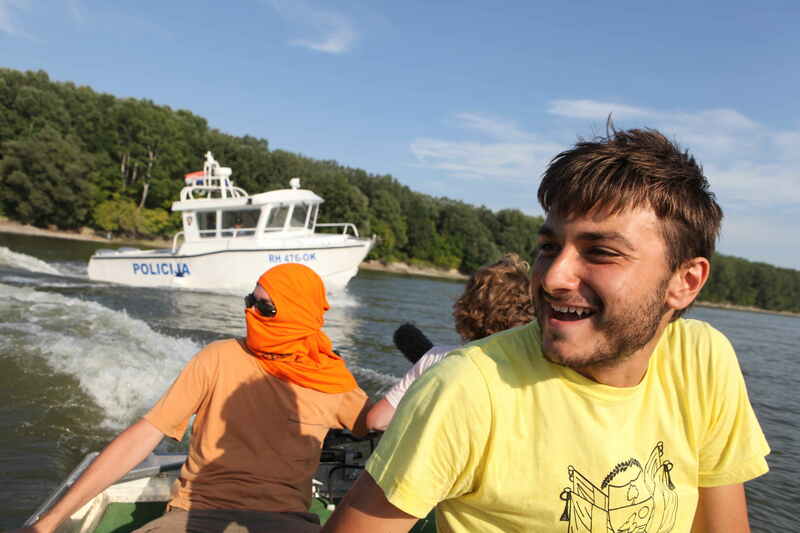 Back on the Serbian shore, we were welcome with a military “Mission accomplished” greeting! More in the LSA video and thoughts for Brazilian LSA member, Crom, who is still in prison in Osijek, Croatia for setting foot on Liberland last July. You tell an extraordinary story. A terrific read.